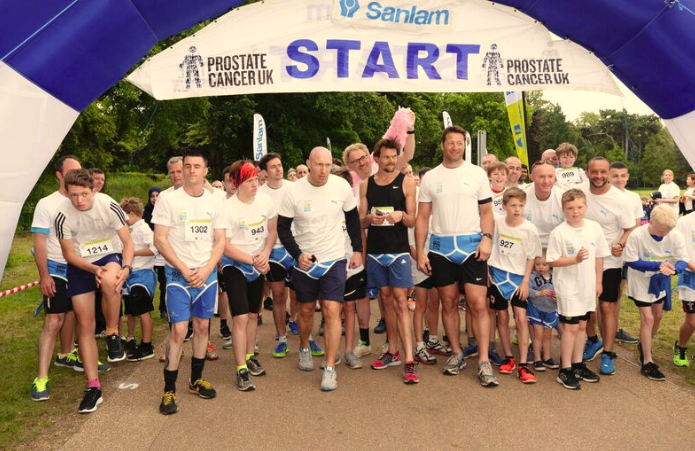 In 2016 and 2017, Prostate Cancer UK will continue to be the Official Charity Partner of the Sanlam Go Dad Run, a series of fun 5km and 10km jaunts designed to bring male members of the family together, alongside their friends, teammates and work colleagues. 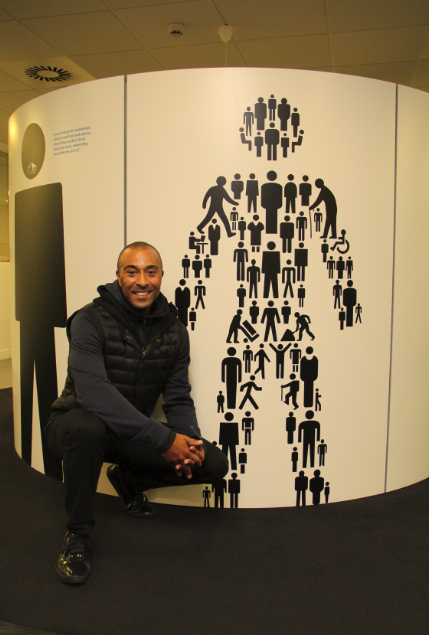 Launched in 2013, Go Dad Run is the brainchild of the former triple world champion and Olympic 110m hurdles silver medallist who created it after two of his uncles suffered with prostate cancer. The fourth year of events will see men and boys compete in London, Bristol, Worcester Sunderland, the Isle of Man and Cardiff. 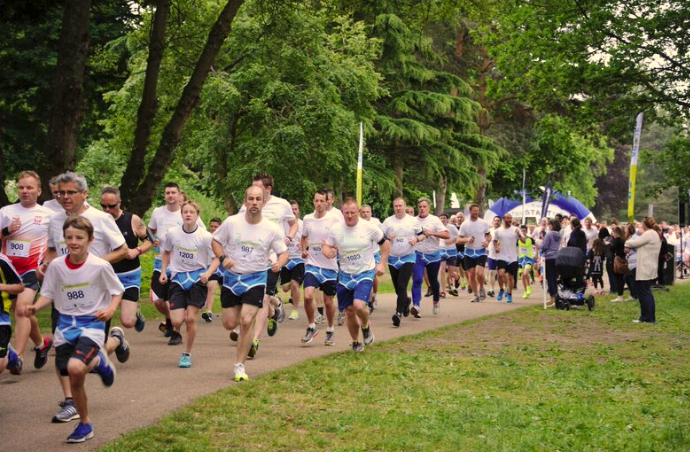 The Cardiff Go Dad Run will once again take place in Bute Park and be held on the morning of Father’s Day, Sunday June 19th 2016. Registration for Cardiff is already open at godadrun.co.uk. Exciting new changes for 2016 include the introduction of 10k runs, a full chip timing service for all registered runners a brand new team competition and free entry for all boys under the age of 10. When they arrive at the events the registered runners will all collect their free PUMA t-shirt and iconic blue Y’fronts to wear over their shorts, and after they cross the finish line they will be handed a medal and a Big Yellow Sports Bag. Prostate Cancer UK are proud to be the Official Charity Partner of the event in both 2016 and 2017, with the legendary hurdling ace aiming to build on the £50,000 raised to date and help the fight back against a disease that kills one man every hour in the UK. Colin said: “I’m excited to continue our relationship with Prostate Cancer UK because it is a charity that is very close to my heart. “By bringing together dads and sons, brothers and cousins, neighbours, workmates and friends who are willing to get involved in a run and play their part in the fight against prostate cancer we hope that we can have a positive effect on their lives and health. “Signing a new two year partnership agreement also means that we can be very creative with our joint long term plans as we move forward with the Sanlam Go Dad Run and raise awareness of and funds for Prostate Cancer UK. Held throughout June and culminating with runs in London and Cardiff on one of the most significant dates on the calendar, Father’s Day, June 19th, it will also be a family day out across the six venues with vocal crowds encouraged to cheer on the runners. James Beeby, Director of Fundraising for Prostate Cancer UK, said: “Colin’s been a big supporter of ours for many years, and has seen first hand the dangers of this disease, so we are delighted to once again throw our support behind this exciting event.